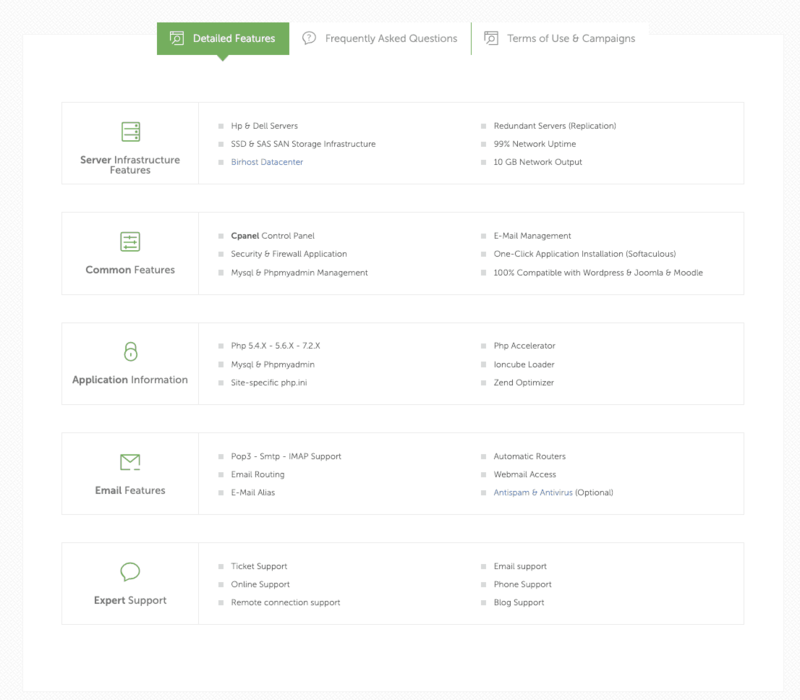 Birhost Review 2019: Is Birhost a Good Hosting? Based in Turkey, Birhost is a relatively small company that has been in business since 1995. Birhost provides shared, reseller, and dedicated hosting for both the Linux and Windows operating systems. Birhost’s hosting service sits under the corporate umbrella of the Birhost Network, which offers a broad array of IT services, including software development. This means the company brings a lot of skills and experience to its hosting platform. It’s partnered with U.S.-based DGN technologies to deliver infrastructure, so it could be considered a value-added reseller of DGN services. Birhost offers four shared hosting plans each for both Linux and Windows. The resources offered are the same for both operating systems. The Getting Started plan offers a low 1GB disk space, making it impractical for many. The Standard, Optimum, and Professional plans offer 5GB, 10GB, and 15GB storage respectively. The Getting Started plan limits bandwidth to 20GB monthly, while it’s unlimited with the Professional plan. One-click installs of popular web software (WordPress, Joomla, and many others) are offered via Softaculous, a popular and well-supported web installer. Birhost’s infrastructure also includes SSD and SAS SAN storage. There’s a claimed 99% uptime, but no guarantee to back this up. You’ll get support for PHP 5.4 all the way to 7.2.x along with a PHP accelerator, though there’s no CDN or LiteSpeed Web Server to deliver optimized speeds. You can also take advantage of the free website migration service that Birhost offers if you’ve already got an existing website with another provider. Birhost’s packages are competitively priced, though note that the host’s preferred currency is Turkish Lira. However, there are cheaper ones out there that provide more value-added extras, so Birhost is not at or near the top in giving you good value for your money. There’s a money back guarantee, but it only stays in effect for seven days. Domain registration and SSL certificates are available, but these come at an additional cost. Support is offered via phone, fax (yes, fax), and support tickets, but support in languages other than Turkish is hit or miss. The company is also reachable via its Facebook page but was unresponsive to my English-language requests via the website contact form and Facebook IM. 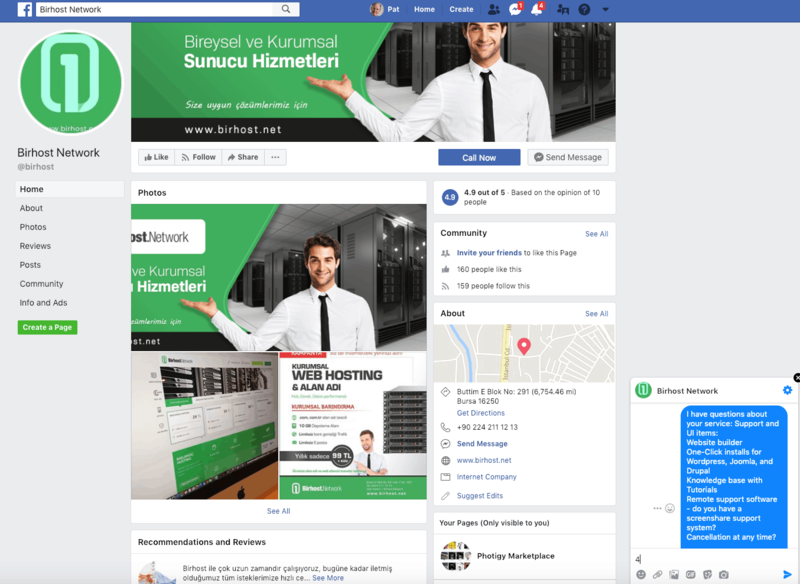 Birhost appears to be a good choice for companies in Turkey or the local region who need good, reliable hosting built on a very solid infrastructure. It’s got good (but not great) support, and its prices are budget-friendly. Wondering how Birhost stacks up against other Web Hosting companies? Enter any other Web Hosting company and we will give you a side-by-side comparison.